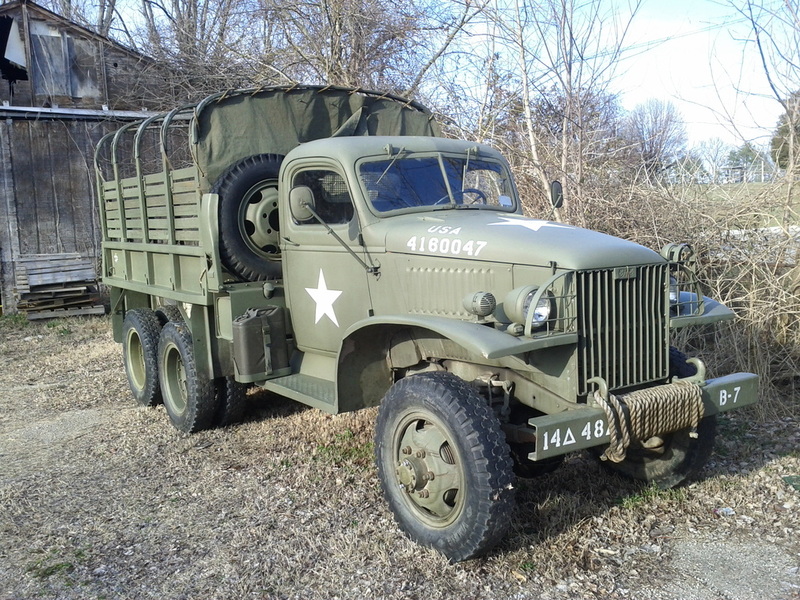 The CCKW served in WWII and Korea, carried troops and supplies all over the world, and now it works for the 14th. 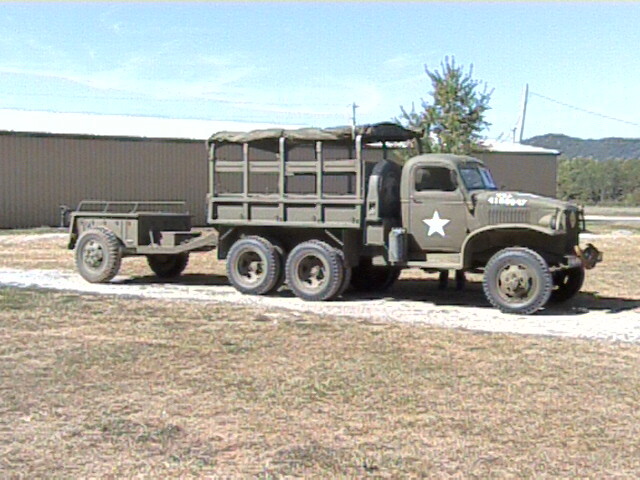 Here is the GMC towing a 1/2 ton trailer. The CCKW, ready for action. 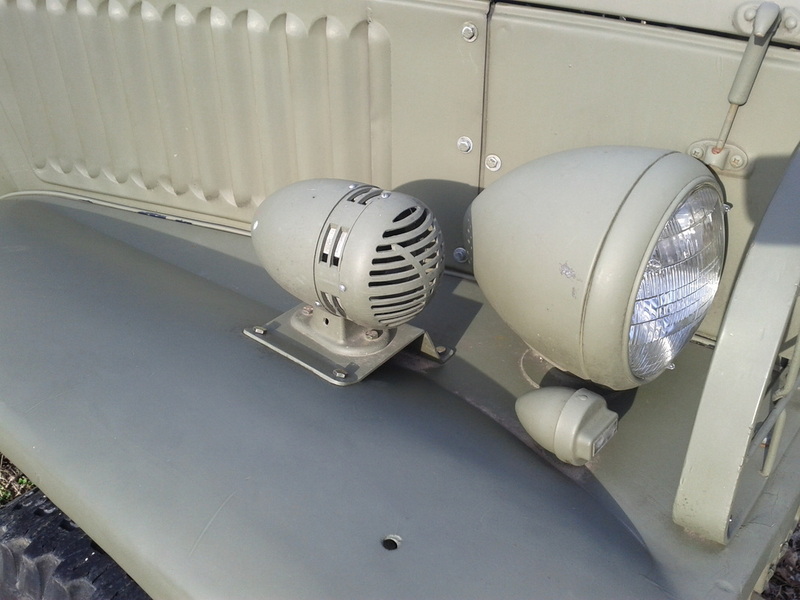 Take a look at the siren and lights on the right fender of the CCKW. The truck still uses the original 6V system. The smaller light is the blackout light, for stealthy nightime convoys. 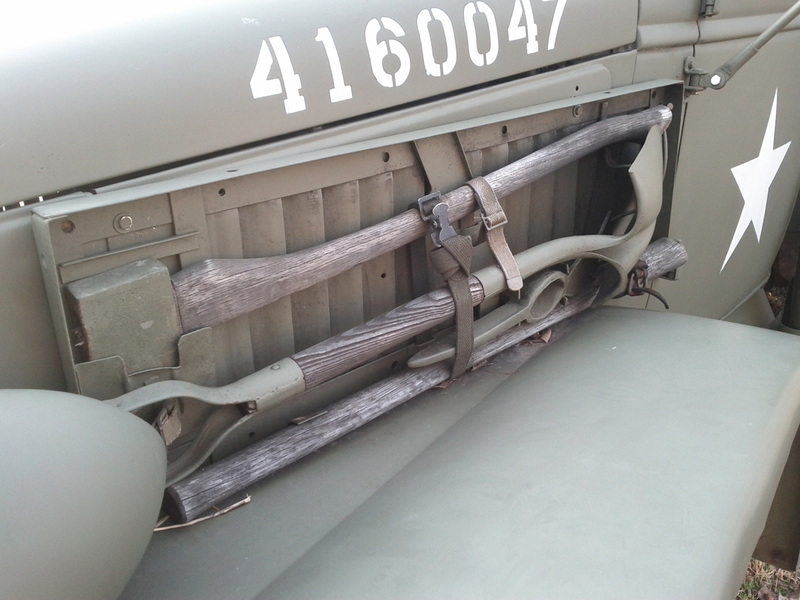 The pioneer rack is located on the left side of the engine, mounted just under the hood. 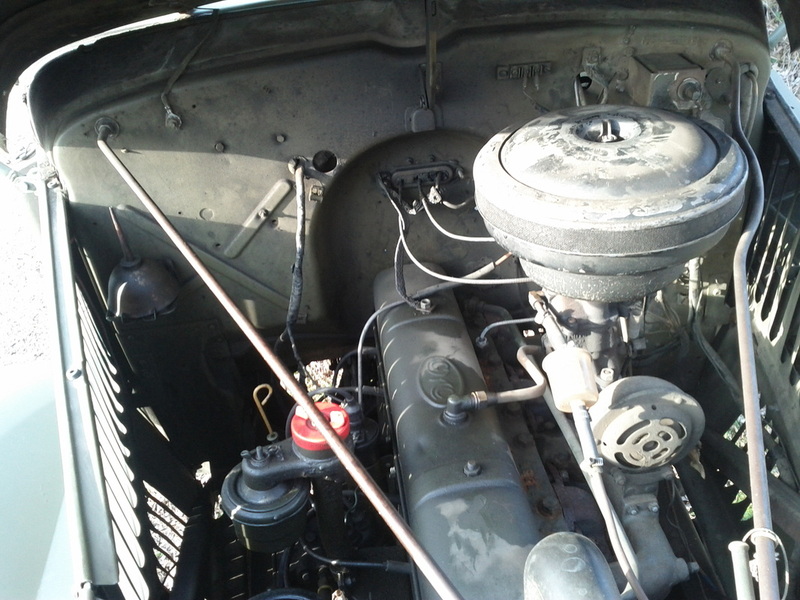 The GMC is powered by an inline 6. The CCKW was needing some attention after many years of service. 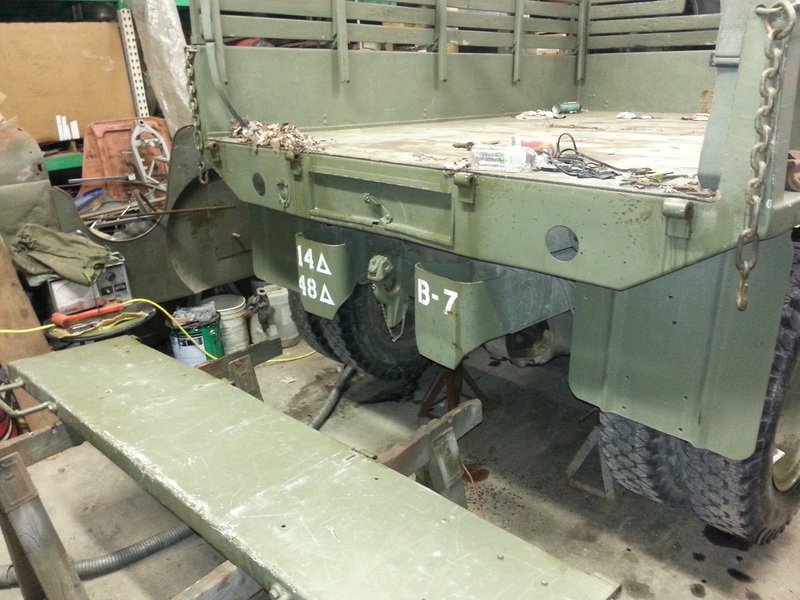 Here the tailgate has been removed for some rust repair and painting. The truck had some cracking on the top of the cab. Time to check it out. 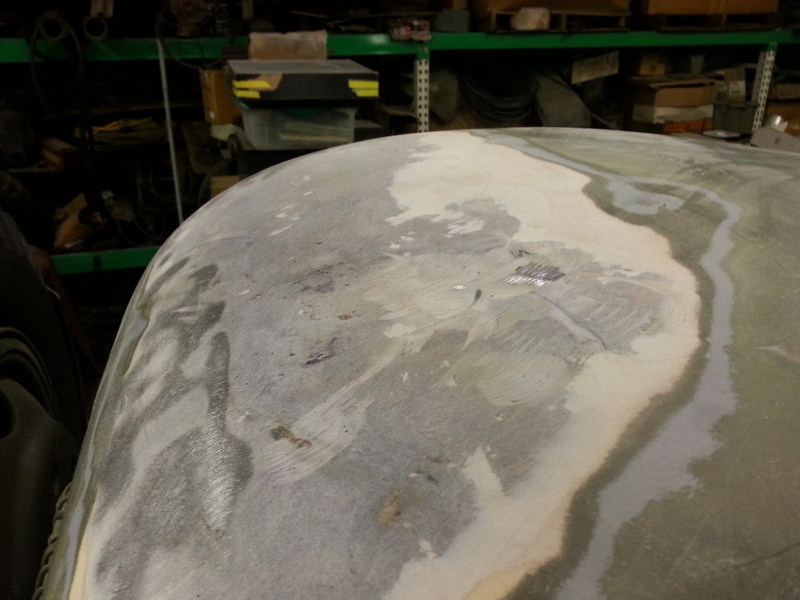 Here the paint was stripped off to reveal some body filler. The transfer case was leaking pretty good. So we pulled it out and freshened it up. Does it look heavy? Because it is! Several of the axle seals had gotten hard and leaked some. 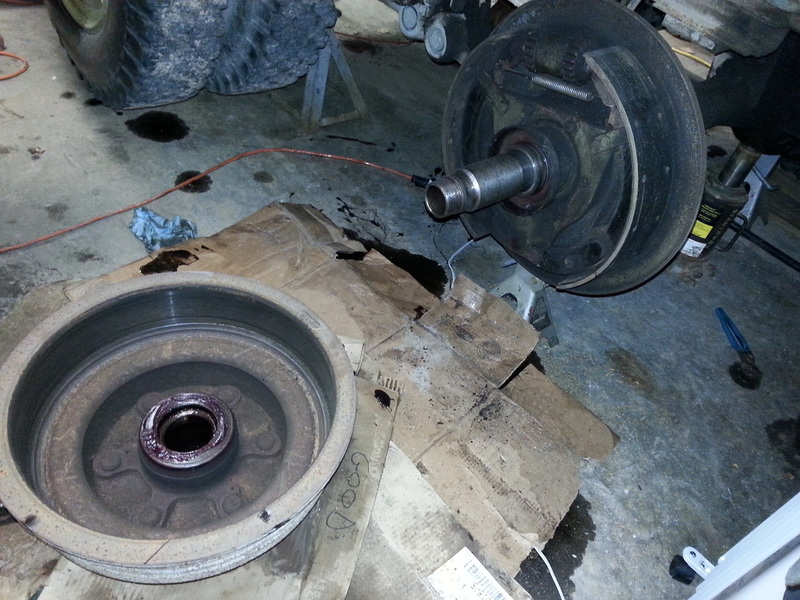 We went ahead and pulled the brake drum off to repack the wheel bearings. Enjoy this video of the gears inside of the CCKW's transfer case. This was right after it was opened. 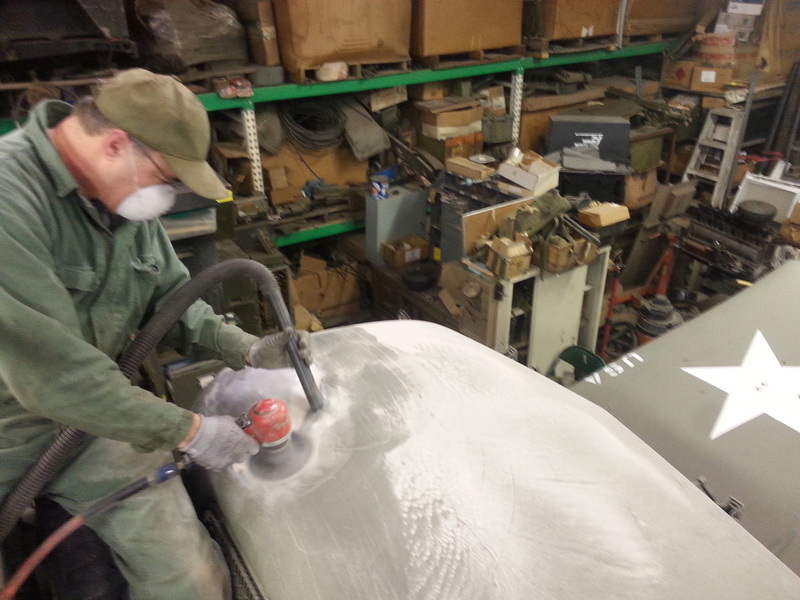 With half of the cab sanded down we found the large dent that caused all the filler. Its hard to tell the depth of the damage from the picture, its probably about 1.5".